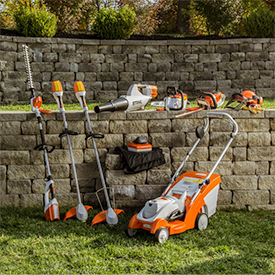 Portable, quiet and powerful, the full line of STIHL battery products are powered by advanced lithium-ion battery technology for environmentally responsible landscaping with professional results. Packed with power, precision and convenience, these tools cut job times as fast as they cut fuel costs. Ralph Meyer • Sebert Landscaping • Chicago, Ill.